The EZ98 will be featured in the Show Village at the International Builders’ Show to demonstrate tankless heaters for homes and Noritz’s industry-leading 25-year warranty. Established in 1998, The International Builders’ Show (IBS) is well-known as the biggest light-construction show in the world for residential builders, architects and remodeling contractors. To be held February 19-21, this event will also welcome over 1,500 of the top manufacturers and suppliers from around the globe to showcase the latest industry innovations. 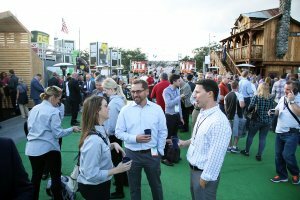 To better show how effective tankless waters are for residential applications, Noritz will again participate in the event’s Show Village, an event produced by Professional Builder and SGC Horizon. This part of the show allows attendees to tour demonstration homes and experience new products firsthand, allow them an opportunity to see how beneficial the tankless technology of Noritz is. “In this event, our primary goal is to show how Noritz is the ideal solution for current and future home-building efforts,” says Sammy Alvarado, Marketing Assistant for Noritz America. With a Uniform Energy Factor of .96, the EZ98 includes top-mount water connections, maximum venting flexibility and the possibility of reusing the existing tank unit’s half-inch gas line. While these features are not so critical in a new-construction situation, they can dramatically cut the installation time and cost when replacing a storage tank-type water heater in an existing home. Like all EZ Series heaters, the EZ98 is protected by Noritz’s unprecedented 25-year warranty. Effective January 1, this new warranty is a full decade longer than the longest warranty currently on the market in North America and more than double Noritz’s previous warranty on the EZ Series. Because of Las Vegas’ comparatively warmer climate, the Show Village installation will feature an outdoor model. Equivalent in size to a piece of carry-on luggage, the compact EZ98 can be installed almost anywhere, indoors or outdoors, taking up significantly less space than a conventional storage tank-type water heater. For more information on the new warranty and other Noritz products that will be at the show, please visit: www.noritz.com. You can also visit booth N1477 at The International Builders’ Show for more information.